Above Stephanie is having fun skating in Andernos, Aquitaine, France. 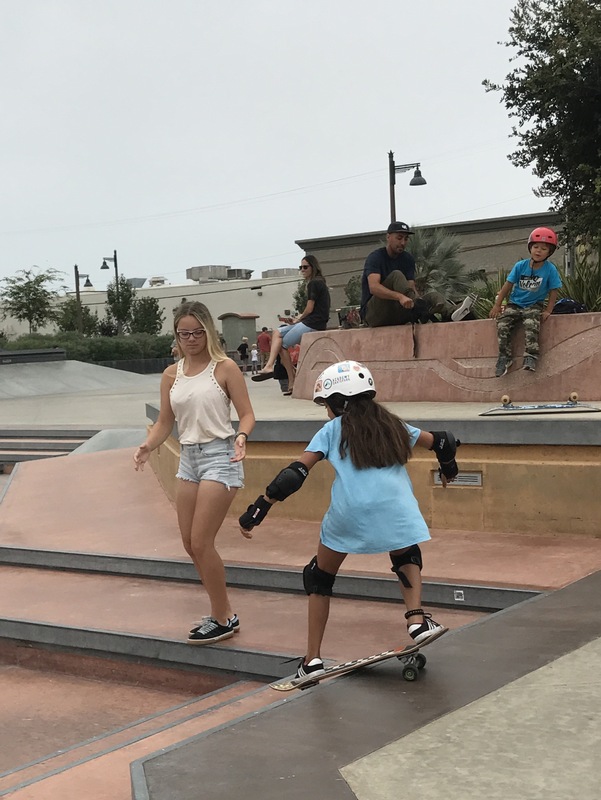 I love to see girls having fun skating by the beach. 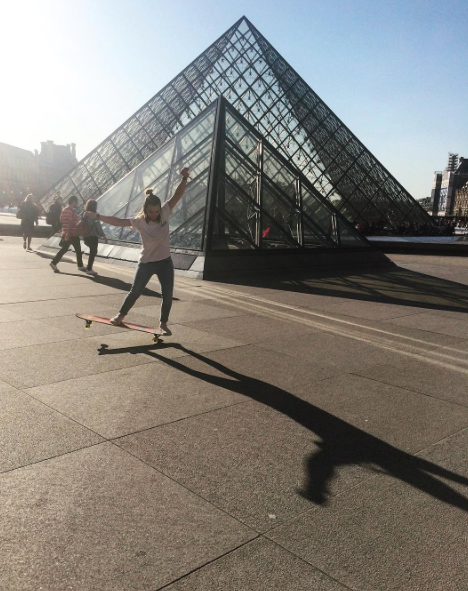 Stephanie’s inspiring us from Bordeaux France. Where are you skating? 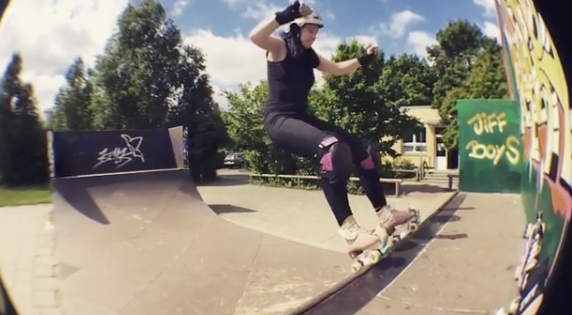 More girls skate when they see stylish girls around the world having fun skating, so I hope you share soon. 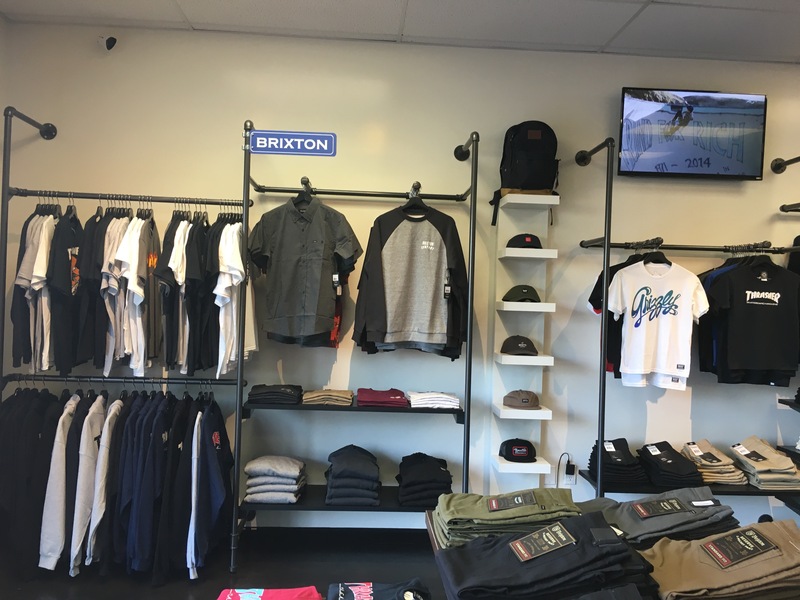 Urban Ave is a new skate shop in Bressi Ranch aka Carlsbad, CA. Above is how it looks from the outside and below is my brother Sway working hard. 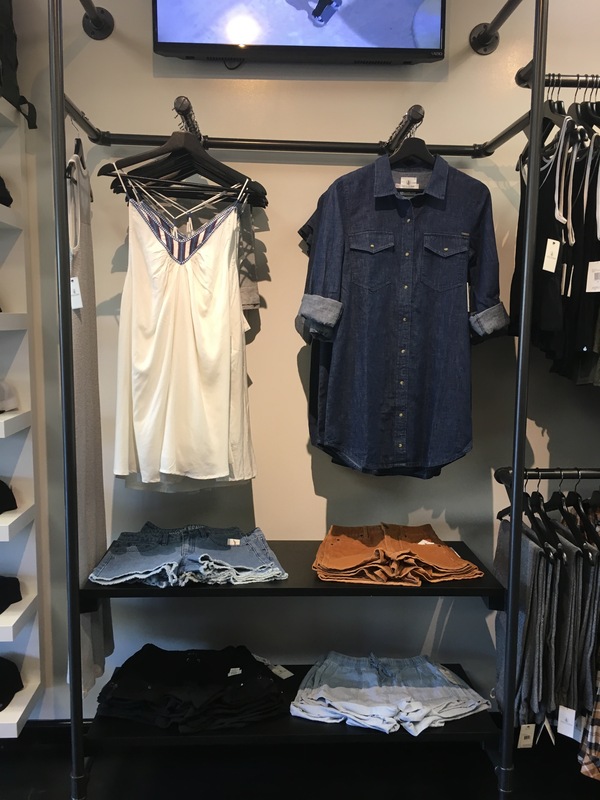 Plus they have a deluxe women’s section! 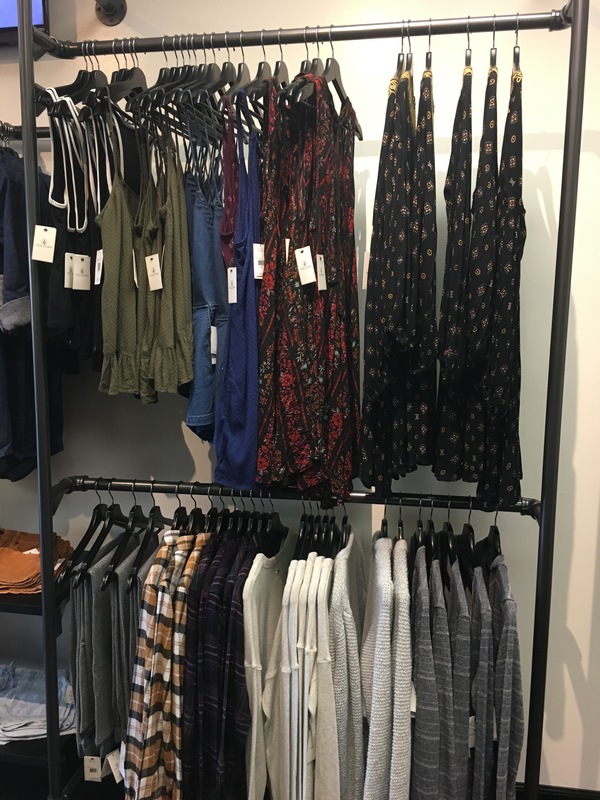 For girls they have options ranging from cute dresses, light layers, cozy jackets, and shorts/pants. Their skate equipment is also outstanding. 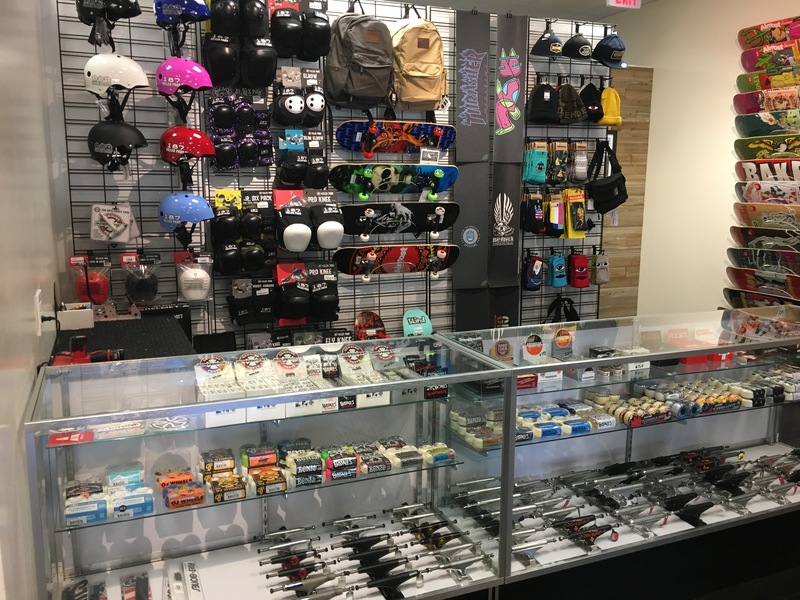 They are one of the few skate shops that sell 187 pads for little people, which is super handy if you’re a parent. Urban Ave has one of the biggest board selections I’ve ever seen. 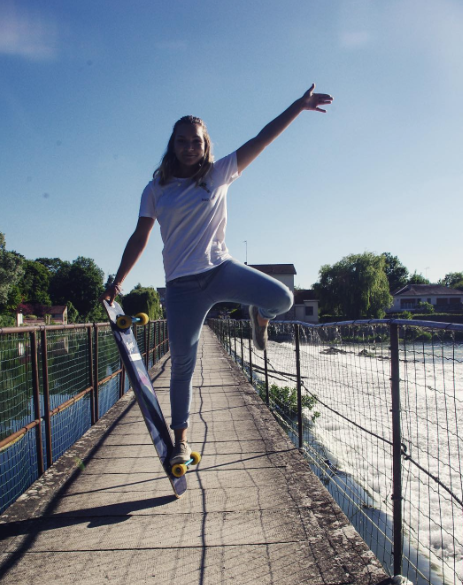 Including pro skater Nora Vasconcellos first board, recently released by Welcome. 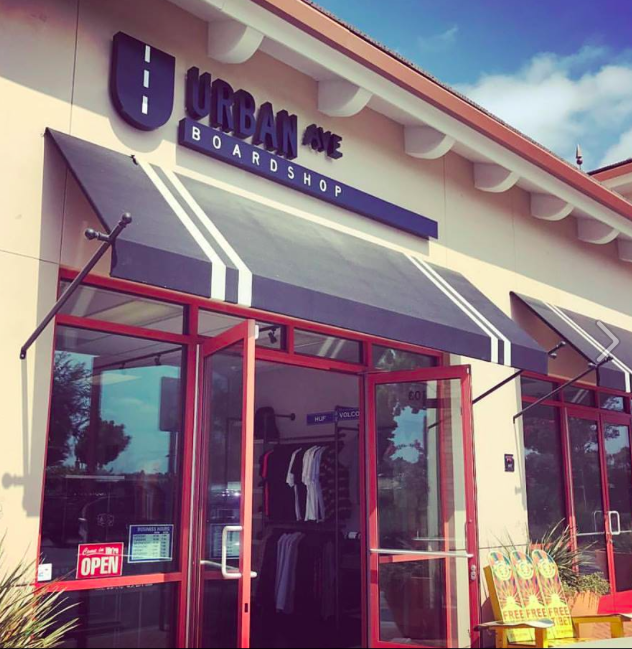 Urban Ave is obviously killing the game. By supporting girls (and others) you’re always winning. 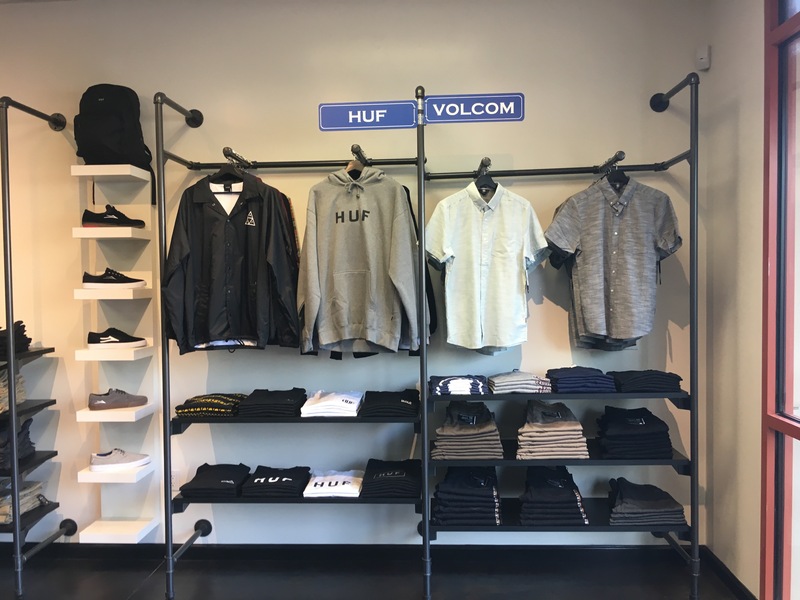 Congratulations on opening the shop. Readers it is definitely worth checking out. You can also check them out on IG to see their latest and know their hours. For some people a birthday can be a big deal, but for Maria it’s a huge deal. 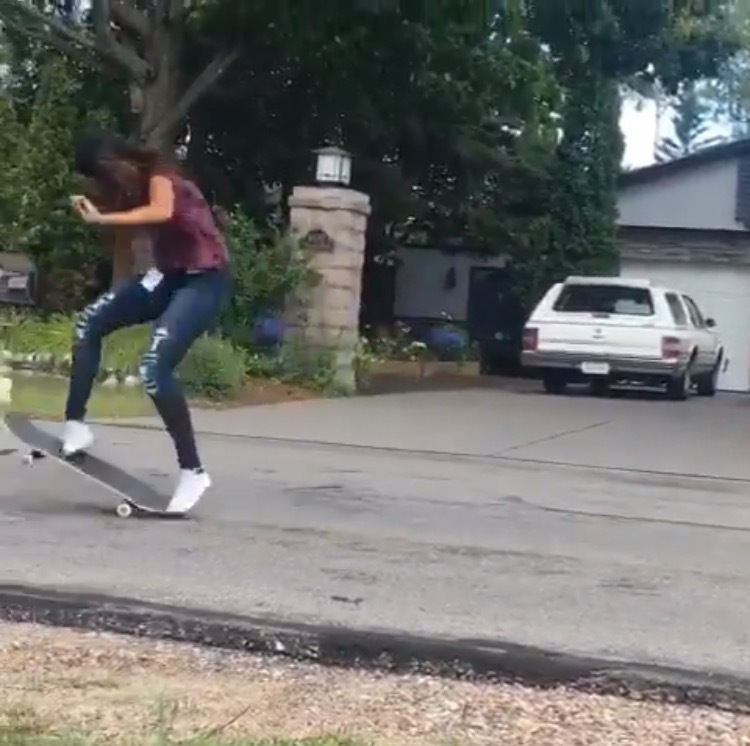 On Maria’s 20th birthday she landed her first ollie. From personal experience I can easily say that to do an ollie takes practice and to get it on lock takes even more work. Congratulations Maria and happy 20th. 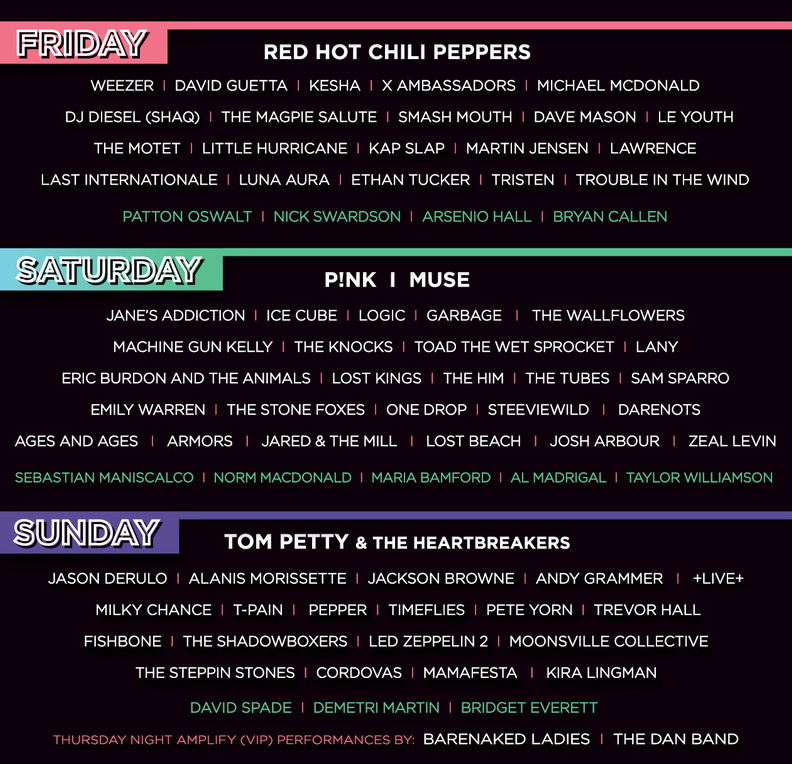 I hope this year rocks! 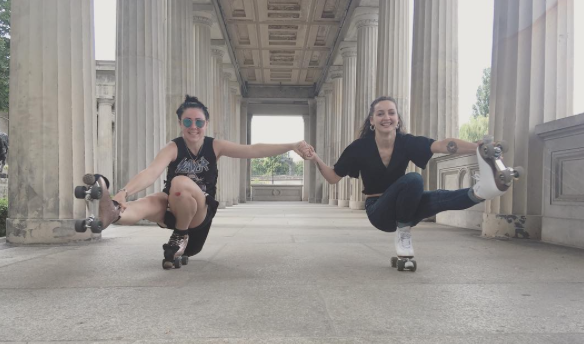 Who are you having fun skating with? 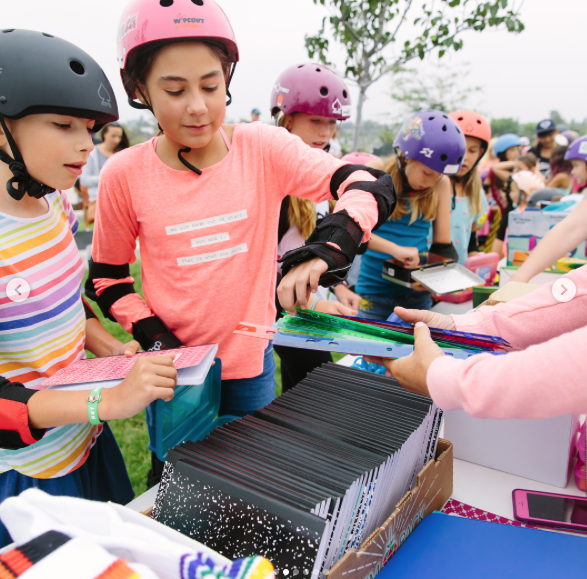 When you share you spread the love of skateboarding with others. Natalie also skates with her family. She’s having fun in New Zealand. 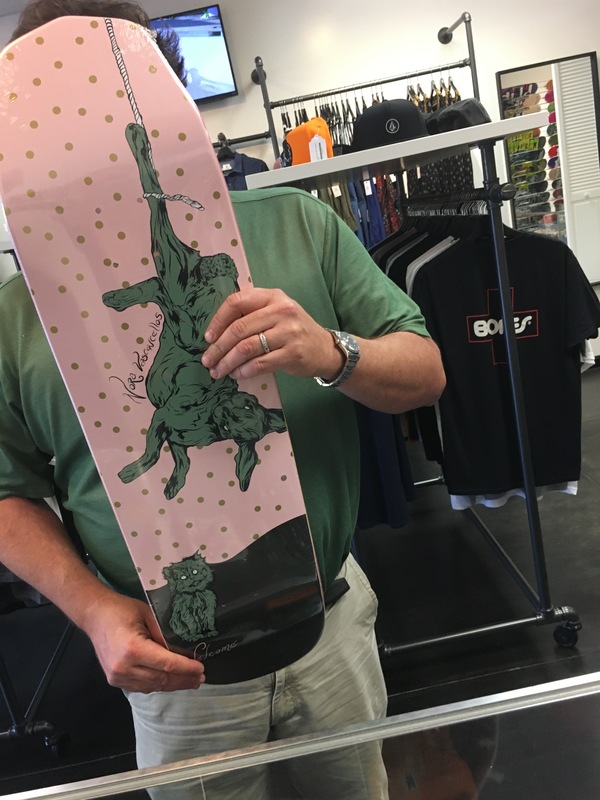 Hope you share soon where you’re having fun skating and with who. My 2 passions. 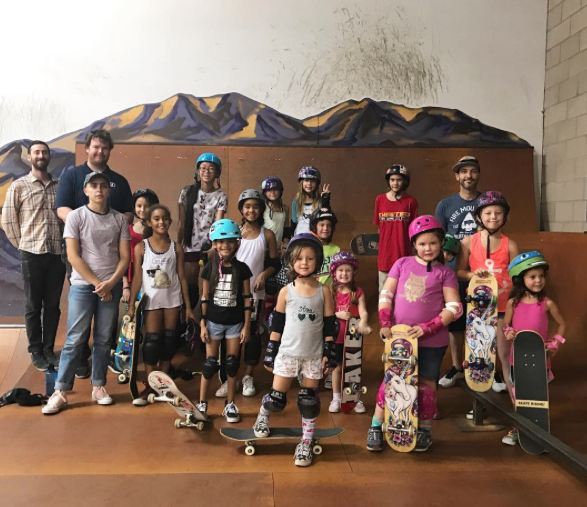 Shredding and teaching. This is Elliott, he is 4 years old. When you follow your passions and share them with others the world is a happier place. As I once heard from Jon & totally believe – “your passion is not a distraction”. You learn from your passions – skills like persistence and patience – that are valuable for anything you do in life. 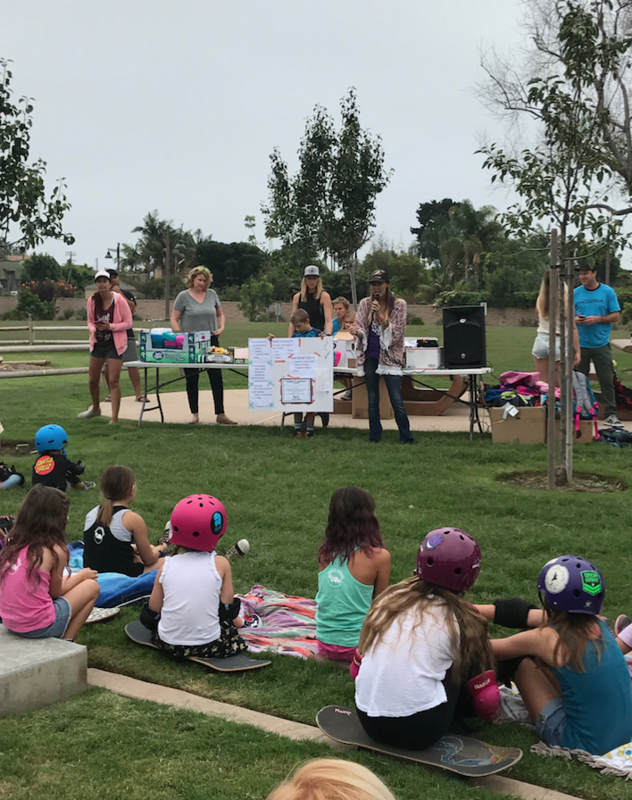 Plus when you share your passions it’s exponential – you share, then they share & the fun keeps growing. 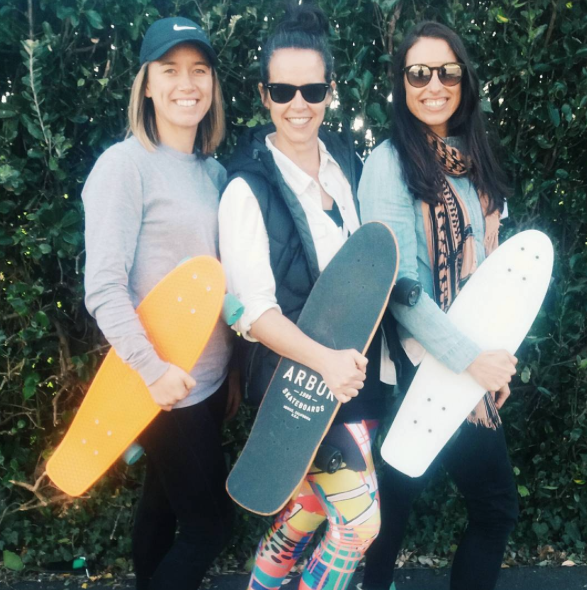 How are you having fun on & off the board? Hope you share like Sarah did! Below she’s at Riley Skate Park. 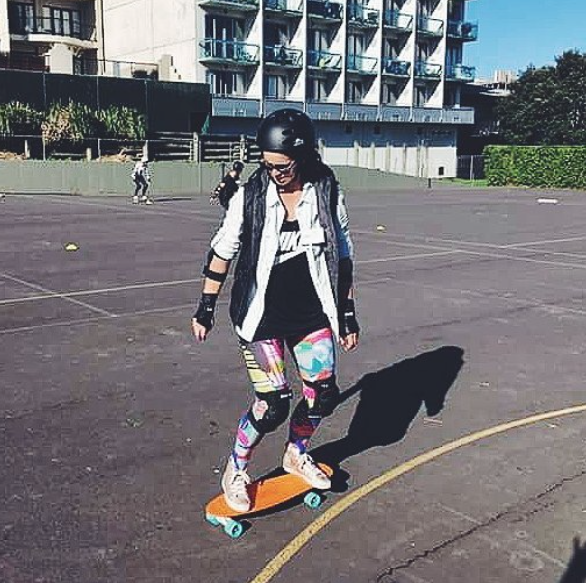 Following up on my post on BTFL Roller Skates is this post on their team rider Lisa Marie aka @junikorndesign. 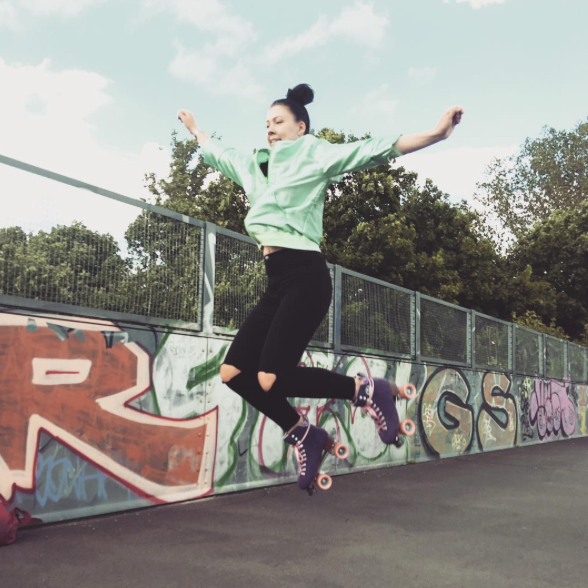 Lisa Marie is a mediadesign student from Berlin, Germany and I had the chance to find out how she became an avid roller skater. When did you start roller skating? When I was 2 years old, I started skiing. Then when summer came my mum bought me some plastic fisher price roller skates. 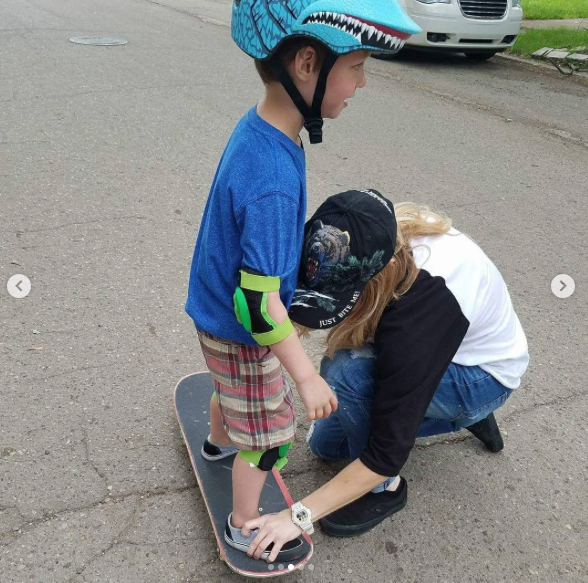 When I was 4 years old, I started inline skating. After many years of inline skating with friends, I really wanted to have some roller skates, which I got for Christmas from my dad when I was 13. They were K2 roller skates that looked very futuristic. I kept my love for roller skating secret for many years. I roller skated to university, but took them off before I entered the building. What made you decide to “break” the secret? Two girls posted in a Facebook Group. They had bought roller skates and were looking for people to skate with them. 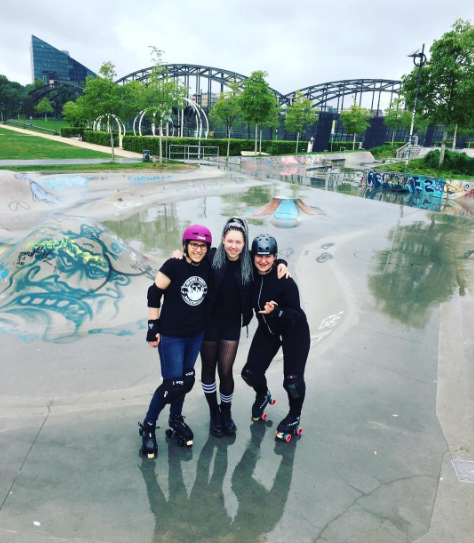 We started out as 4 girls, but thanks to the great roller skating community in Berlin we’re now more than 100 people roller skating together. 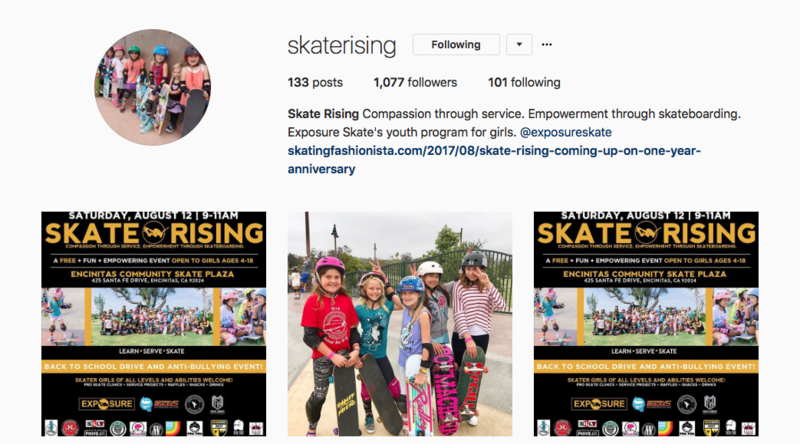 How did skating with other girls improve your skating? When I met those two girls about two years ago is when I really started skating a lot. It changed my life. I found many new friends and a healthier life. When I go skating in the morning then I don’t go partying the night before. I’ve found roller skaters teach each other. I love the vibe of teaching each other. 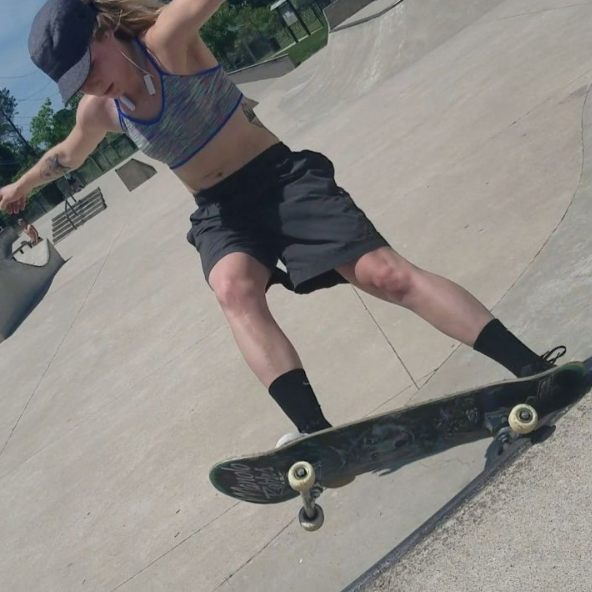 I think skating is a very nice sport. Not only roller skating. I mean all kinds of skating. 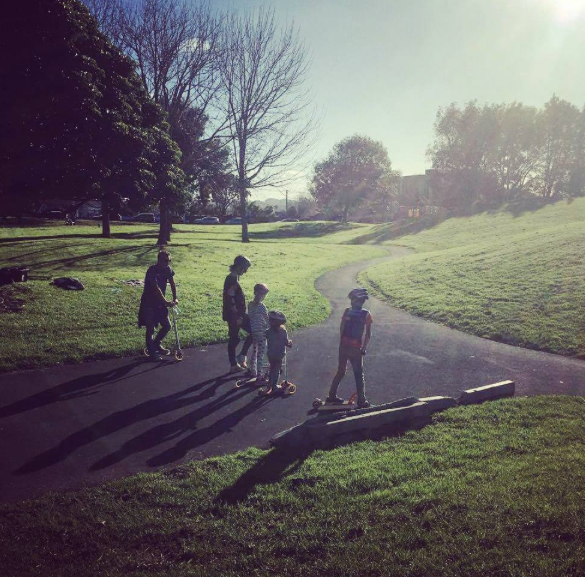 It’s relatively easy to get started just get skates or a board. 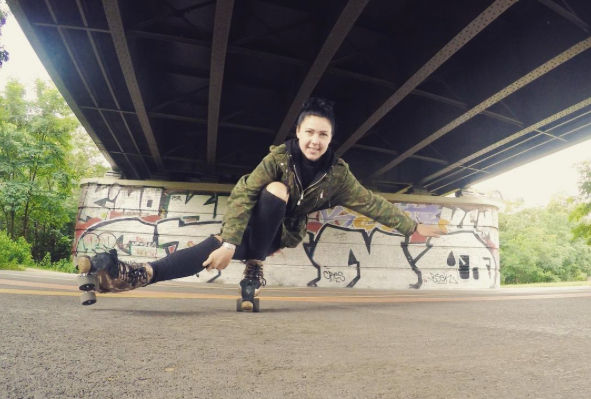 Then you can skate alone, ask friends or practice jamskate steps at home. 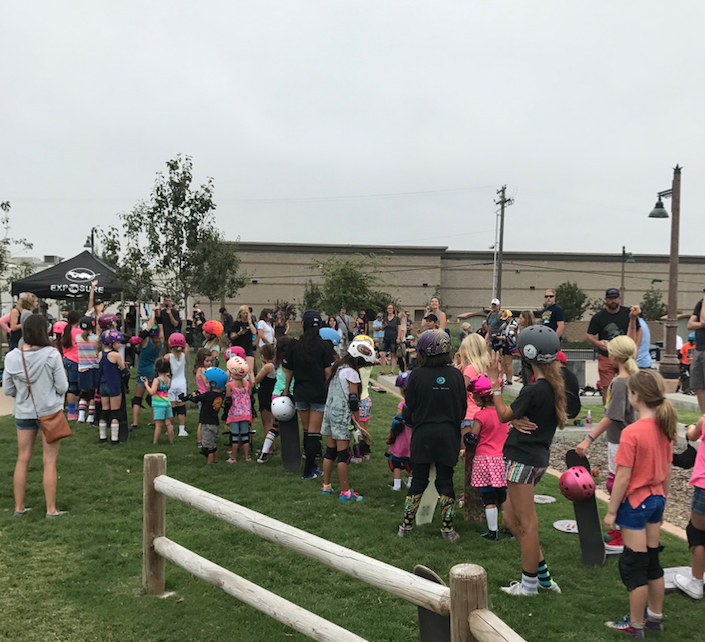 Skating is a social sport. As soon as you meet other skaters you start talking and eventually become friends. 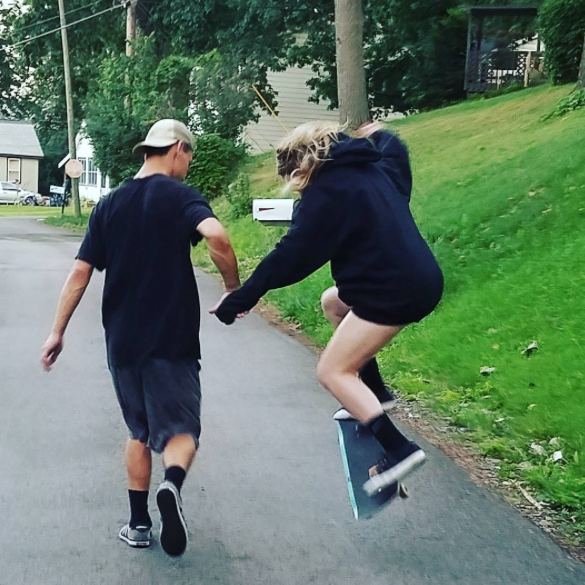 I’ve found a great community through skating. What’s your favorite style of skating? 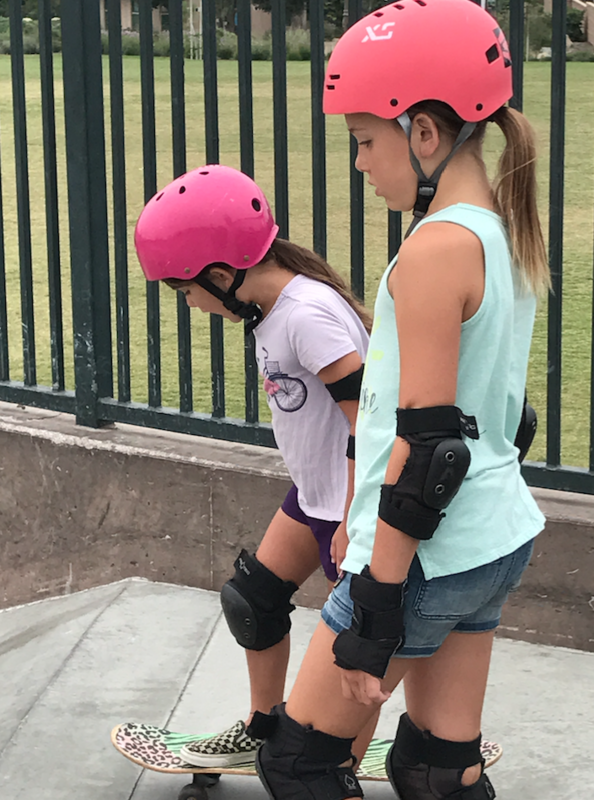 There are different skating styles and each fits the skate place. 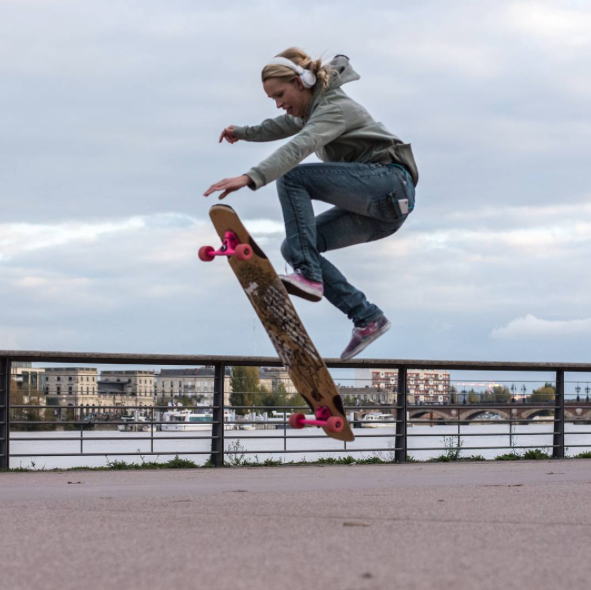 I love all skating – street, ramp, artistic, jam – just love it all! My favourite place to skate is the city. I don’t care which city it is. I just love being open minded for any cool skate places. 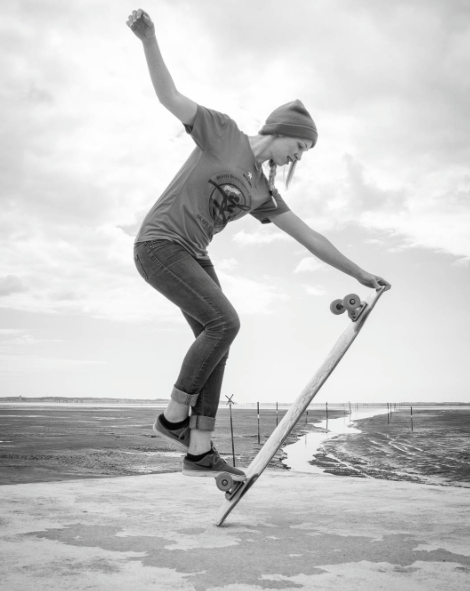 Especially with the BTFL classic skates with their soft and big wheels so you can skate on any ground. I’ve skated over sand and grass. Nobody can stop me with these cute looking skates. Thanks Lisa Marie – you’re so graceful. You inspire me to try new things on my roller skates. Where are you having fun skating? 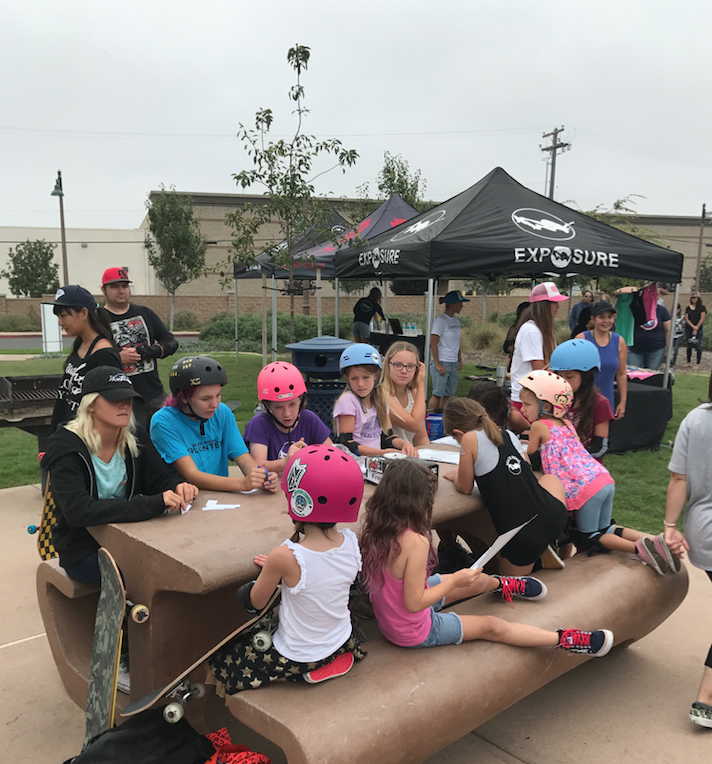 When you share your pictures and stories you inspire even more girls all around the world to skate. 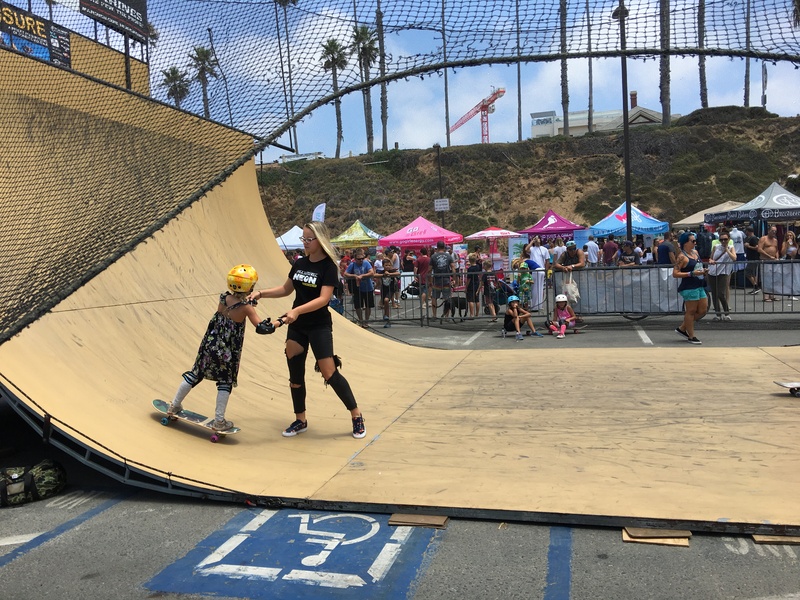 This is a follow up to my Neon Supergirl Pro 2017 Women’s Skateboarding Clinic post. 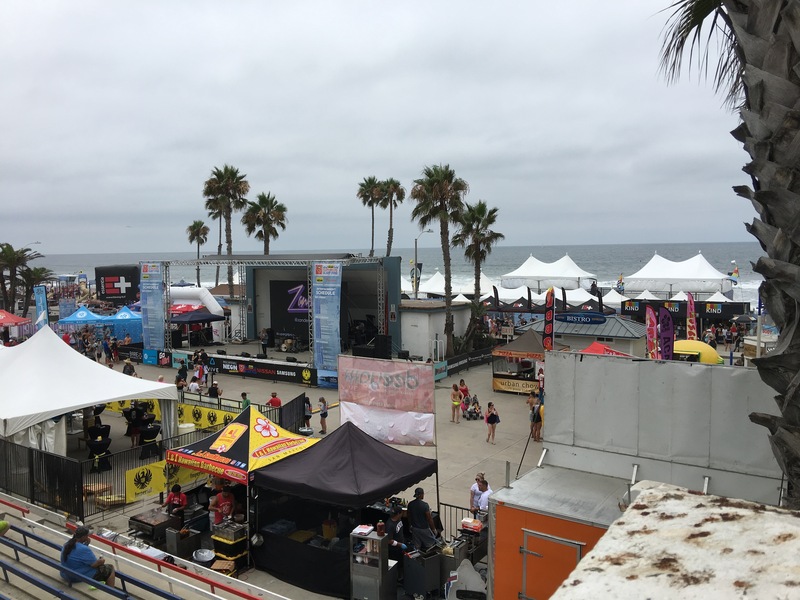 The ramp where the clinic took place was just one of the amazing “booths” at the event which happened in Oceanside, CA from July 28 – 30, 2017. I started off my 3 days of fun at the Neon Braid Booth. that every girl is unique & style should be fun! 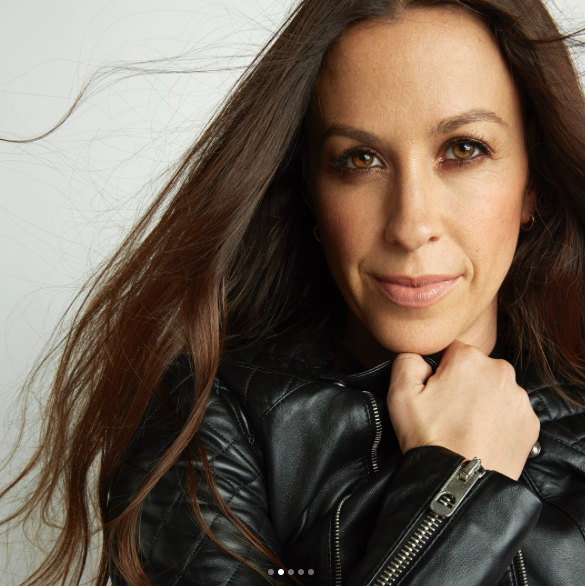 Our color-safe, sugar-infused hair care products make it easy to create any look you can dream up. Together let’s create a world where everyone can be themselves & shine. Yes the cape above has a “window” so you can stay connected while you have your hair done. 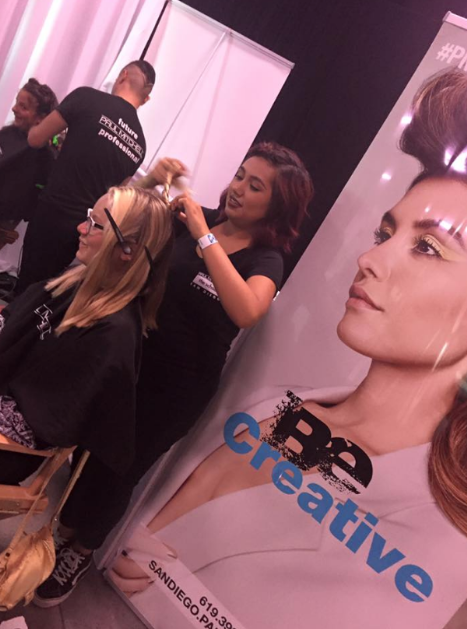 This picture was from Friday when the stylists came from Paul Mitchell the School San Diego. I’ve been to the school several times. It’s in downtown San Diego on A Street. 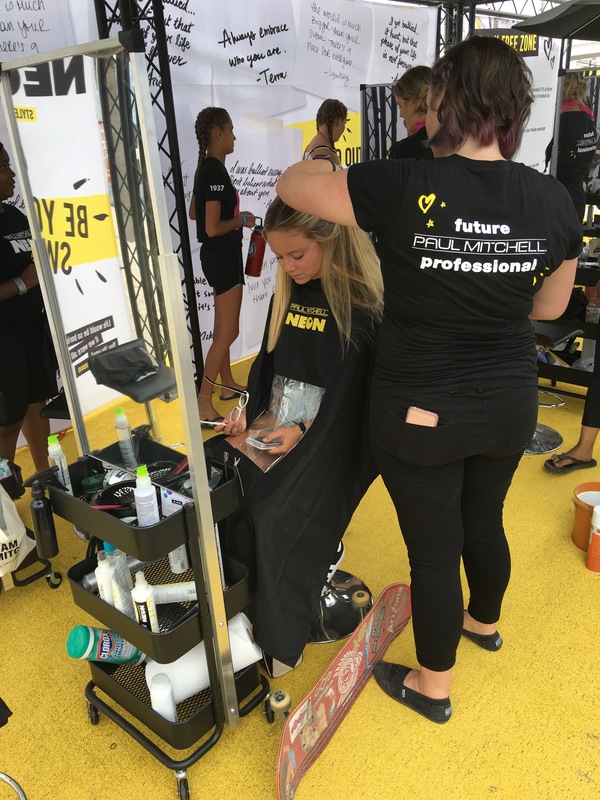 It’s open 6 days a week providing services and offering all the Paul Mitchell products including Neon. 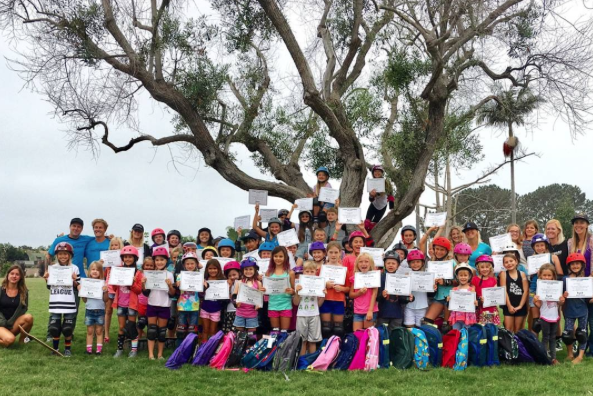 In addition to the services & products, I love how the school promotes Giving Back in San Diego. 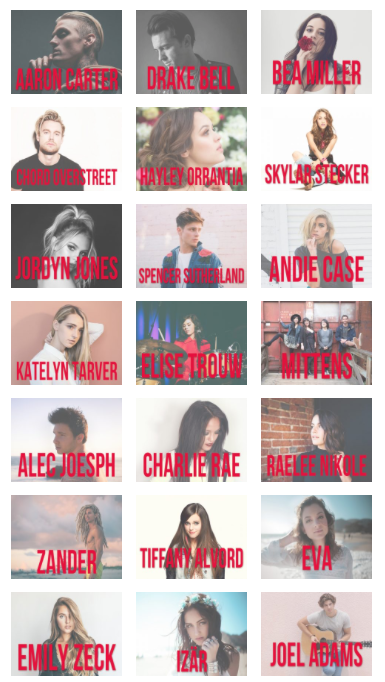 The Neon Braid Booth at Supergirl donated 100% to charity. This year the donations went to NO place for HATE. Why NO place for HATE? 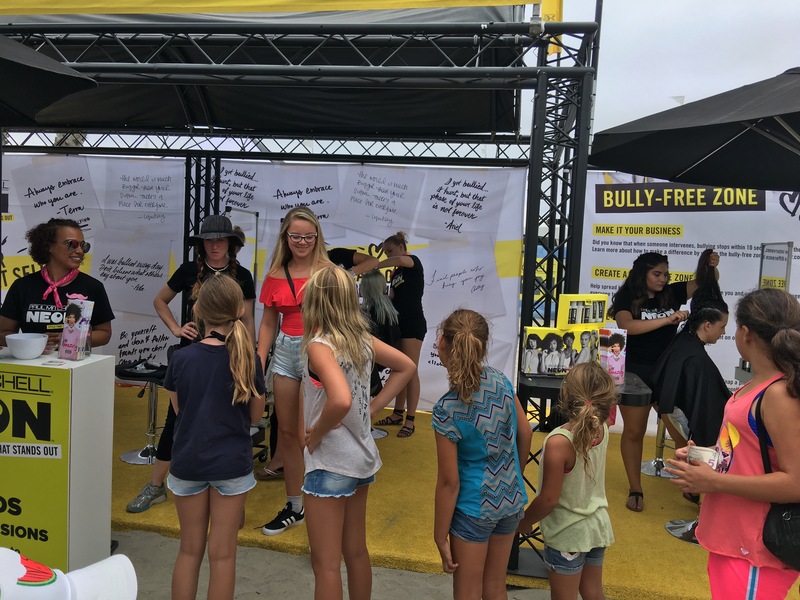 Neon is committed to helping girls use their voice & actions to create Bully Free Zones. Where kindness exists bullying cannot. 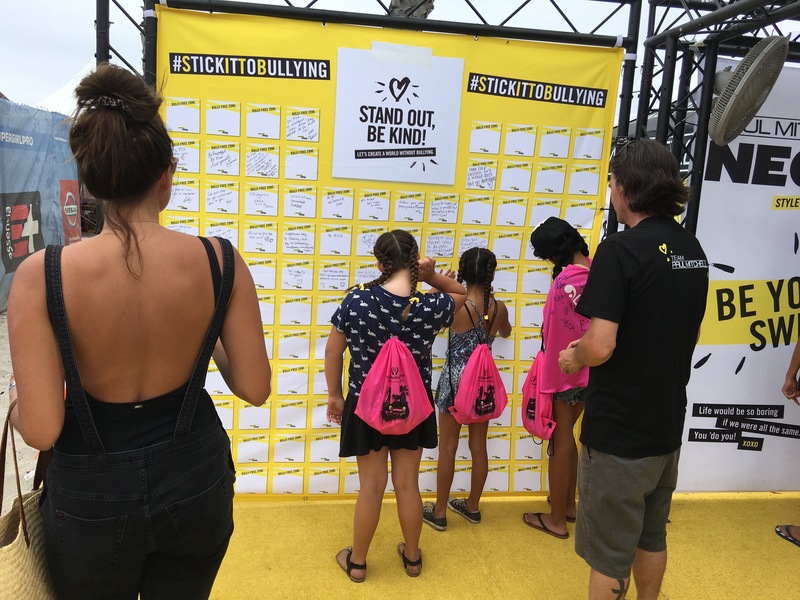 The #stickittobullying board gave girls an opportunity to share what kindness looks and feels like to them. I loved my braid and I loved what I read on the wall. I’ve been one of the four. What made the bullying worse for me was the isolation that followed. People were just afraid to get involved or even be my friend. By being kind you get involved/you are a friend & it does make a difference. 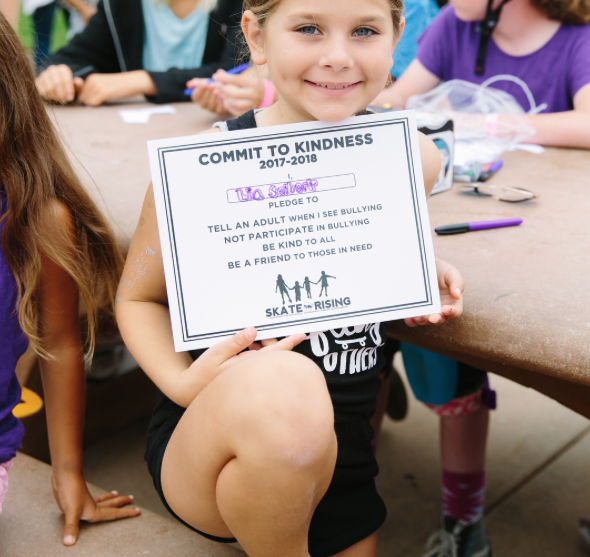 I hope you check out Neon’s 5 Tips for Banishing Bullying & I’d love if you shared how you’re being kind. 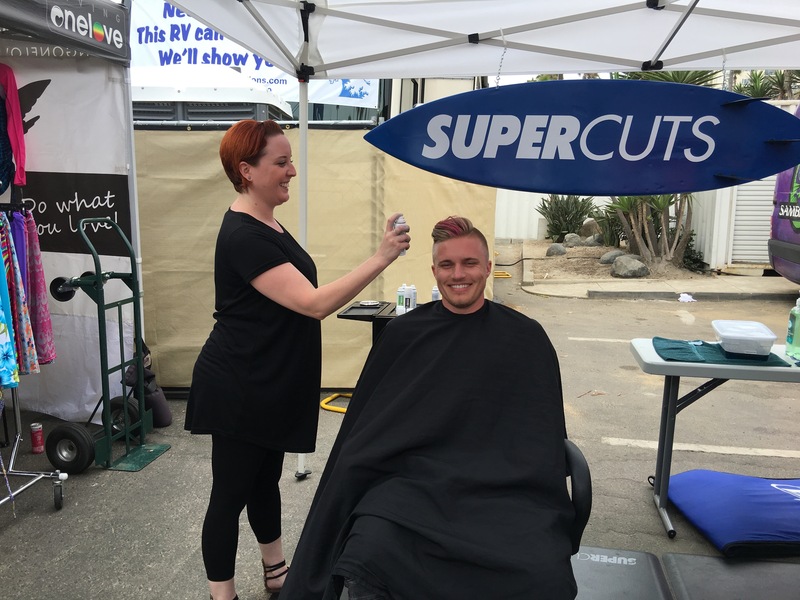 Working with Neon to support NO place for HATE was SuperCuts. 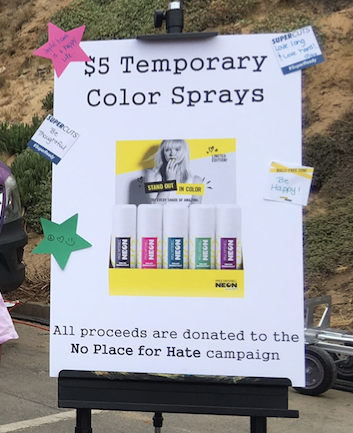 Neon’s Temporary Color Sprays, which won’t be available until fall, were at Neon Supergirl Pro. 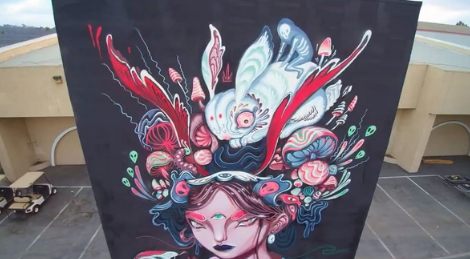 These color sprays are so fun, I’m just counting the days till I have my own. What else was fun in the village made me smile, smile, smile. Nissan gave out red capes that matched my shirt – a style win! 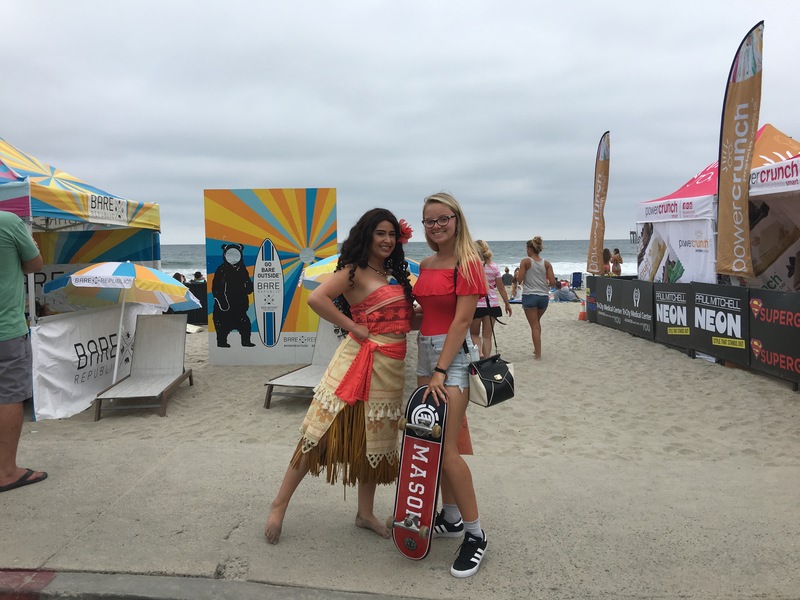 I met Moana and the Bare Republic grizzly helped me out with sunscreen. I met the Go Girl Energy Girls. This was fun because I was thirsty and their energy drinks are delicious. Plus I learned about their mission and am looking forward to interviewing them for a future blog post. 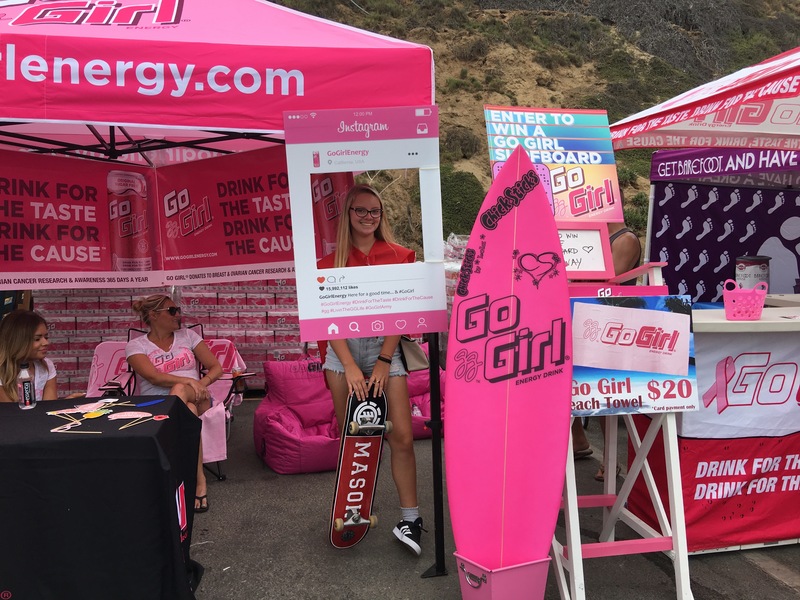 Go Girl Energy Drink’s mission is to raise awareness and funds for Breast cancer and Ovarian cancer research and prevention, while supplying networking opportunities for those in need, to learn more about these harmful cancers and get needed help through our partners. 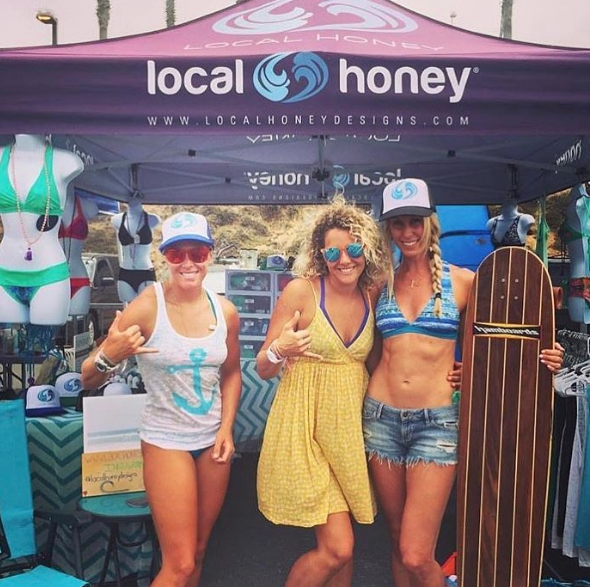 I was pleasantly surprised by how small a world it is when I met Andrea, a fellow skater girl that I blogged about in the Local Honey booth. 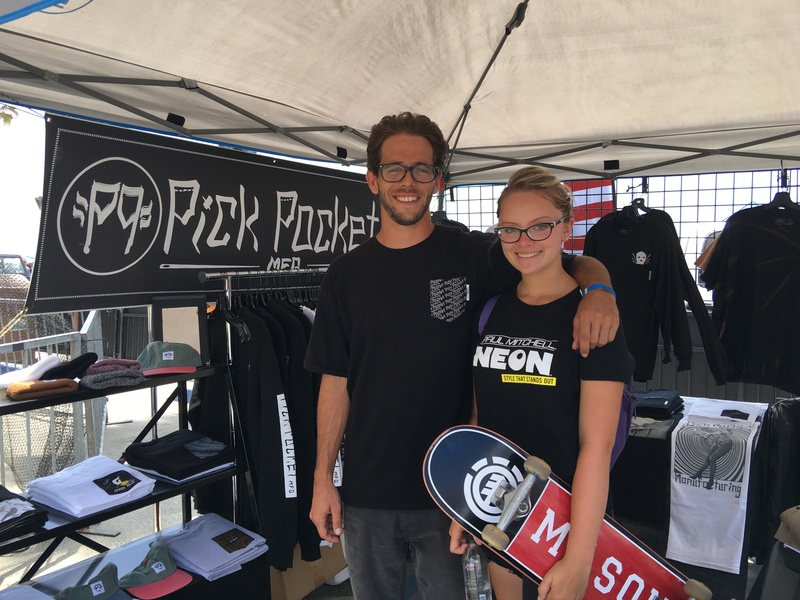 Later I saw Josh Stafford at his booth – pro skateboarder & creator of Pick Pocket MFG. Absolutely love the long sleeve pocket tees. 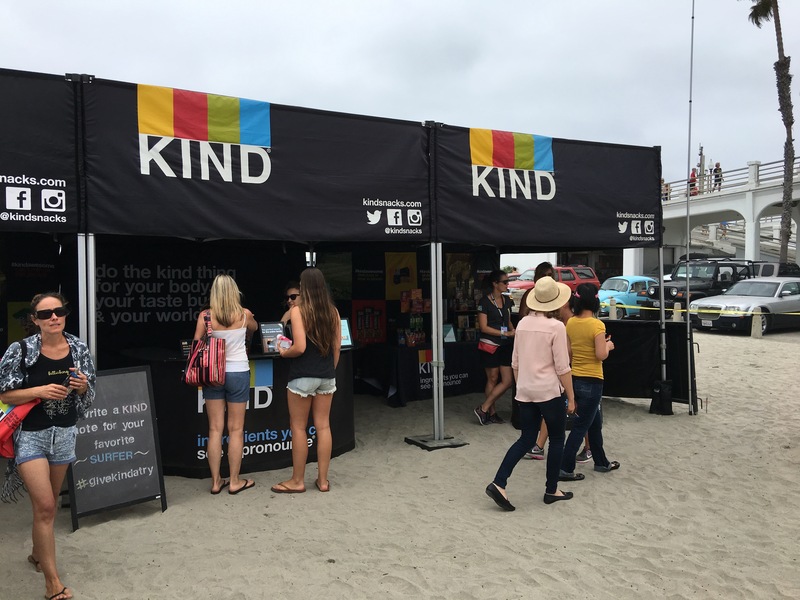 Kind Bar gave out bars at their booth plus they had a team of people who walked around the event and passed out bars. 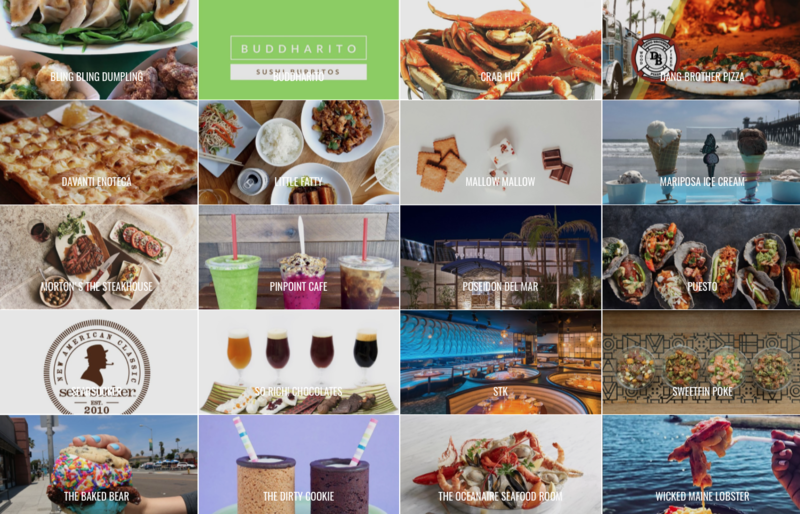 I’ve blogged about Kind Bar before because I love their taste & love their mission. And last but certainly not least was all the fun on the stage. 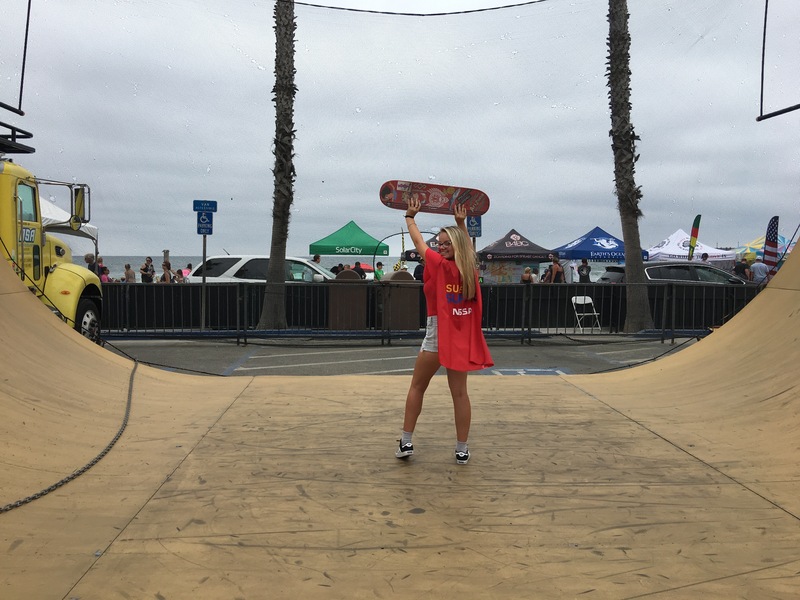 To see how others had fun at Neon’s Supergirl Pro Festival Village check out Supergirl on IG and #neonsupergirlpro tag.